Compare cars in New Zealand with Canstar Blue. Suzuki, Audi, BMW, Ford, Holden, Honda, Hyundai, Kia, Mazda, Mitsubishi, Nissan and Toyota were compared on value for money, point of sale service, after sale service, reliability, driving experience and overall satisfaction. 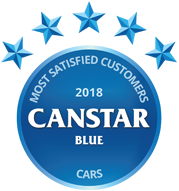 Suzuki has once again taken the top podium position in Canstar Blue’s customer ratings for new cars in 2018, scoring five stars in value for money, after sale service, reliability, driving experience and overall satisfaction. Claiming the Canstar Blue Most Satisfied Customer Award for the fourth time in five years, Suzuki really is leader of the pack. Kiwis love their cars and other than a house, buying a brand new car is about the biggest purchase that we can make. At the time this report was written (July 2018) there was in excess of 3,351,000 passenger vehicles on our roads, 43,386 of them being less than six months old, helping to give New Zealand one of the highest cars per capita ratings in the world. But what is it we love about our cars and why is the trend of buying brand new continuing to climb? Obviously buying a brand-new car, rather than a used one is going to cost you a lot more up front, but there’s quite a bit to consider before you shell out the extra cash. When buying new it’s important to set your budget and identify what you absolutely need from your new car, five seats or seven, hatch back or saloon, diesel or petrol? The list can be a long one but once you’ve nailed your ‘must-haves’ it’s a lot easier to narrow the field down to the vehicle that is going to be right for you. Instead of spending hours online looking at auction sites or spending your weekends tramping around car yards, with a new car purchase you can visit a dealer and let them do the research and recommendations. New cars can also offer advantages such as the latest technology, safety features, comfort, choice and availability but your list of ‘must-haves’ should always be your bottom line. Don’t get carried away by a bunch of latest gadgets that you’ll end up paying extra for but never use. And finally, don’t forget you have the ability to negotiate, set financial terms and maybe even get a few additional extras thrown in. 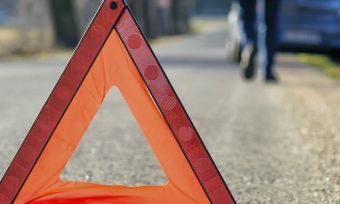 Importantly, warranty cover and manufacturer’s guarantees can save you a few bucks if anything goes wrong in the first 12 months (although with a new car you’d hope it didn’t) so always ask about those too. There’s nearly 100,000km of open road in New Zealand so you want to make sure that wherever you are going, your journey is a comfortable one. Newer vehicles can come with all the extras such as built in sat nav, Bluetooth, and parking cameras to make life easier. The enhanced safety features that can minimise the chances of you getting hurt in the unfortunate event of an accident are also a big advantage of buying a new vehicle. As in 2017, Suzuki was the only manufacturer to be rated five stars for driving experience. The remainder of the field registered four stars with the exception of Mitsubishi and Toyota who both registered three. One of the main reasons people buy new is that they don’t want to buy someone else’s problem. No one likes the sight of the dashboard lighting up like a Christmas tree because that usually means it’s going to take a fair amount of money to make them go away. Suzuki was the only brand to be rated a maximum five stars with all other brands rated four stars. 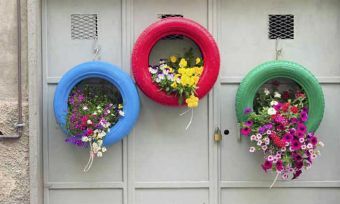 The only exception was Audi which trailed the rest of the field with three stars. Earlier we talked about identifying what you want in your new car and this is where it comes into its own. Whether you are paying for your new car outright or taking out a personal loan, you want to know you’re getting bang for your buck. Most dealers are open to negotiation when it comes to price or they’ll sometimes throw in a few extras to sweeten the deal, but they only offer value if they are something you would want or need. No good getting a tow bar added if you have nothing to tow, or a top of the range sat nav system if you only drive local. When it comes to deals, remember you are in the driving seat. Once again Suzuki was awarded the sole five star accolade in this category with BMW, Ford, Honda, Kia, Mazda, Mitsubishi and Toyota receiving four stars. Hyundai, Nissan, Audi, and Holden all received three stars. We can all talk about the colour of the paint work, comfort of the interior and advantages of those little extras, but when the conversation turns to piston displacement, compression ratio and fuel distribution, most of us feel our eyes glaze over. This is where the knowledge and expertise of a great dealer comes in. They should be able to answer your questions, convert technical jargon into easy-to-understand information and you should be able to walk away feeling satisfied and confident in the knowledge you know what you are buying and it’s the right car for you. BMW, Hyundai and Kia came out top with five stars in this category with most other brands registering four stars. Audi once again only rated three stars along with Holden. All of your excitement may be focused on your lovely shiny new car, but you still want a strong relationship with your dealer after you drive off the forecourt. 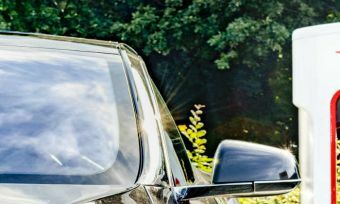 As you get to know your new vehicle you may have a few additional questions you want to ask, or one or two niggling little problems you would like fixed, all much easier to sort if you have a good after sales relationship with your dealer. Check out what support is available before you sign any contracts. Overall satisfaction winner Suzuki was rated a maximum five stars here too, along with BMW. The rest of the fields achieved a four star rating apart from Ford, Honda, Nissan, Toyota, Audi,and Holden who were each given a three star rating. A few additional extras to think about….. Ongoing costs such as servicing (European and American models tend to be more expensive than Asian). It’s a given that you should have it with a new car but get some quotes before you buy. Finance – You’re not obliged to take out finance through your dealer so shop around, there might be a better deal for you with another lender. Compare the same car at different dealers – prices or incentives may differ. There is always a deal to be done! Canstar Blue commissioned I-view to survey 5,000 New Zealand consumers across a range of categories to measure and track customer satisfaction. The outcomes reported are the results from New Zealanders who have bought a brand new car from a dealership in the last three years– in this case, 1022 New Zealanders.